Long before Ree, Jaden, and Lori, there was Julia. Although she probably would have hated to be included in a crowd of food bloggers, Julia Child can be credited to have started our collective obsession with food both online and at our dinner tables. Thanks to her detailed recipes, complete with illustrations, she empowered every American to cook like the French. On August 15, Julia would have turned 100. To honor her, 100 food bloggers are cooking some of her most iconic recipes this month. I’m honored to be part of the JC100. We’re kicking off the month of honoring Julia Child’s legacy by beginning with the basics: eggs. If you’ve ever had an omelette in France, you’ll agree that it was vastly different than many of the omelettes served in the States. Instead of a flat and often dried out layer of cooked eggs surrounding a filling of your choice, French omelettes are airy and souffle-like. 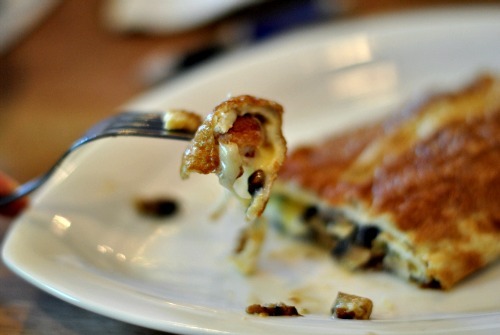 Each bite of an omelette roulee melts in your mouth, leaving a subtle eggyness on your tongue. Eggs are deceptively tough to cook. They’re a meal that can be whipped up in under five minutes, but can be burnt or overcooked even faster than that. Julia’s omelette recipe, excerpted from Mastering the Art of French Cooking, spans a full 8-pages, more detailed than one of Ree’s 50 picture posts, but with her words to guide you, the omelette’s will roll onto your plate as they should: fluffy, puffy and divine. I stuffed my omelette roulee with bacon, baby bella mushrooms, shallots, and grated muenster. How will you fill yours? 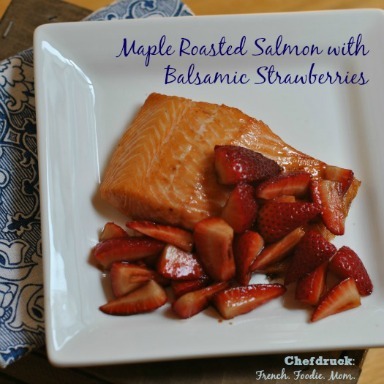 The celebration of Julia Child will continue right up until August 15, with one new recipe featured every week. The recipes were chosen by a panel including Thomas Keller and Amanda Hesser. 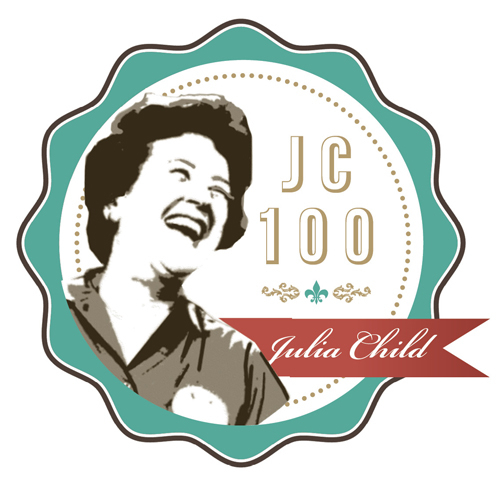 The goal of the JC100 is to raise one million voices to honor Julia Child. Next up? 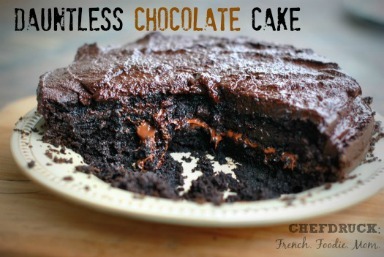 We’ll be marrying eggs with chocolate to make chocolate mousse! A good French omelette is a smooth, gently swelling, golden oval that is tender and creamy inside. 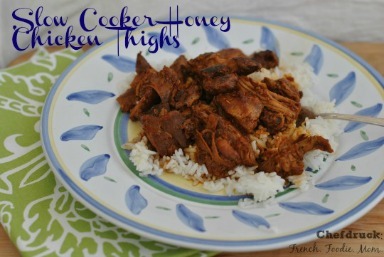 And as it takes less than a minute to make, it is ideal for a quick meal. There is a trick to omelettes, and certainly the easiest way to learn is to ask an expert to give you a lesson. Nevertheless, we hope one of the two techniques we describe will enable you, if you have never made an omelette before, to produce a good one. The difficulty with all written recipes for omelettes is that before you even start to make one, you must read, remember, and visualize the directions from beginning to end, and practice the movements. For everything must go quickly once the eggs are in the pan that there is no time at all to stop in the middle and pore over your book in order to see what comes next. Learning to make a good omelette is entirely a matter of practice. An omelette cannot be made in a sticky pan; the eggs must be able to slide around freely. Professionally shaped omelette pans of heavy aluminum with no-stick interiors are everywhere available, and that's what we use - gratefully. A 7-inch bottom is the perfect size for a 2-3 egg omelette. Just before heating the butter in the pan, break the eggs into a mixing bowl and add salt and pepper. 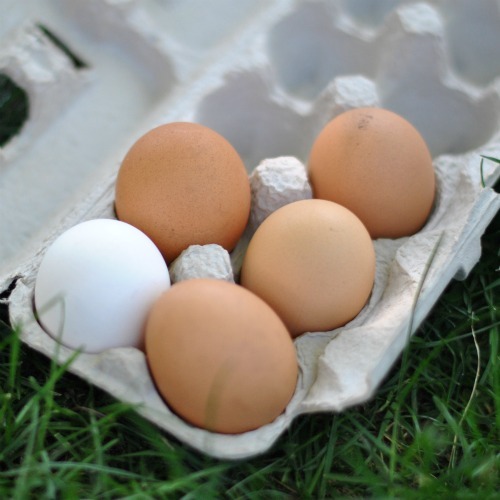 With a large table fork, beat the eggs only enough to blend the whites and yolks thoroughly. From 30 to 40 vigorous strokes should be sufficient. 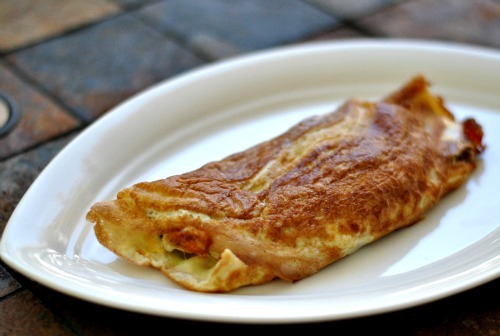 The rolled omelette is the most fun of any method, but requires more practice. Here the pan is jerked over high heat at an angle so that the egg mass is continually hurled against the far lip of the pan until the eggs thicken. Finally, as the pan is tilted further while it is being jerked, the eggs roll over at the far lip of the pan, forming an omelette shape. Beat the eggs and seasonings in the mixing bowl for 20 to 30 seconds until the whites and yolks are just blended. Place the butter in the pan and set over very high heat. As the butter melts, tilt the pan in all directions to film the sides. When you see that the foam has almost subsided in the pan and the butter is on the point of coloring (indicating it is hot enough), pour in the eggs. It is of the utmost importance in this method that the butter be of the correct temperature. Let the eggs settle in the pan for 2 to 3 seconds to form a film of coagulated egg in the bottom of the pan. Grasp the handle of the pan with both hands, thumbs on top, and immediately begin jerking the pan vigorously and roughly toward you at an even, 20-degree angle over the heat, one jerk per second. As soon as the omelette has shaped up, hold it in the angle of the pan to brown the bottom a pale golden color, but only a second or two, for the eggs must not overcook. The center of the omelette should remain soft and creamy. If the omelette has not formed neatly, push it with the back of your fork. Turn the omelette onto a plate, rub the top with a bit of butter, and serve as soon as possible as omelettes toughen as they cool.